Today I'm going to share how to make this Quilted Birthday card. I used the other half of the Top Note die created in yesterday's post. Trim off the perforated edges and adhere one half of the stripes to the bottom of Rose Red Top Note die cut. Add some sticky strip and adhere your Pear Pizzazz Seam Binding across the middle. Stamp "Happy Birthday" from Vintage Labels in Baja Breeze. Use your Stampa-ma-jig to surround sentiment with label shape from Vintage Labels which is stamped in Rose Red. Punch it out with the Curly Label punch. Adhere to Top Note Die shape in upper center. Color a Rosette with Baja Breeze Stampin' Write Marker. Make leaves by free-hand cutting shapes from Pear Pizzazz card stock scrap. Use your bone folder to make a line down the middle lengthwise. Distress using your Sponge Dauber and Soft Suede ink. Crinkle the leaves and adhere onto card under the rosette. Adhere the die cut to a Crumb Cake card base, then add a bow in Crumb Cake seam binding. I hope you enjoyed learning how I made this card. I hope you create some quilted Top Note cards yourself by interchanging the card stock colors, designer paper and sentiments. Thank you for visiting my blog and as usual, I love to read your comments, so I hope you will leave one. 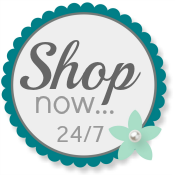 If you need to purchase Stampin' Up!, please use my website any time! Patti your quilted cards are adorable! I have yet to make one, but it's on my list now. My (sister-in-law) was just in from out of state and she told she has a huge sewing machines that puts together to the large layers for people who make quilts! This would be perfect!!! TFS. Hugs. Love the second version as well! This is such a neat effect - the scrunchy ribbon looks great with it! Beautiful, Patti! The scrunchy ribbon is gorgeous!